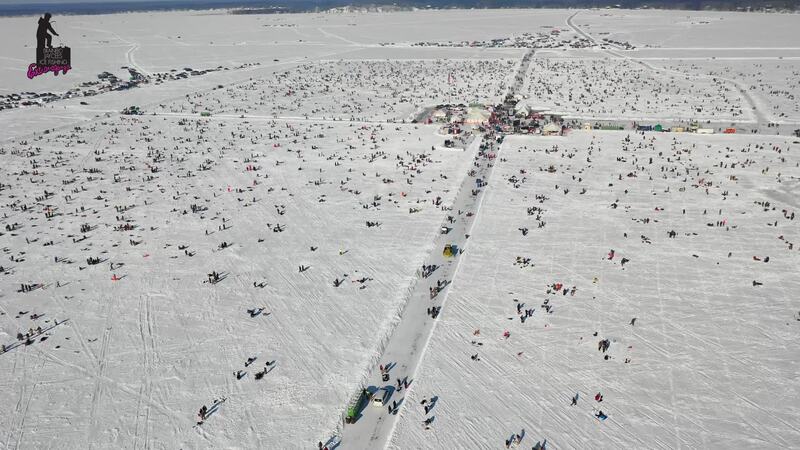 Aerial footage of the 2019 Brainerd Jaycees Ice Fishing Extravaganza. Founded in 1991 the annual fishing tournament is located ten miles north of Brainerd, MN on Gull Lake. The Brainerd Jaycees $150,000 Ice Fishing Extravaganza has grown to become the LARGEST charitable ice fishing contest in the WORLD. My Aerial Production company, BlazeAir has flown the tourney the past few years, but this one was different. After being named Official Aerial Provider of this year's Extravaganza, we were contacted by HBO to provide content for their HBO Sports Original "Real Sports with Bryant Gumble." They ended up using some of our footage in their February 2019 Episode (263). Not only was it cool to be apart of an HBO production, but being able to show the world what winters are like in our hometown of the Brainerd Lakes Area was pretty awesome too!